These family apartments Broadbeach are just what you are looking for. The Sandpiper Beachfront Apartments are spacious accommodation on the beachfront that are easy on the pocket and leave you with enough change to enjoy you Gold Coast holiday. They offer business travellers, couples and young families a wonderful opportunity to enjoy some of the nicest parts of the Gold Coast in accommodation that won’t break the bank. Sandpiper Beachfront Apartments have lots of space to spread out and relax and everything you need to feel right at home. Our apartments come in one and two bedroom options. Lower floor apartments get a nice view of the park while higher apartments have views beyond of the Pacific Ocean to enjoy. The Sandpiper Apartments include a fully equipped kitchen (stovetop, full-sized fridge, microwave and dishwasher), and a well equipped laundry that is also welcome for longer stays. Business people will appreciate the iron and ironing board. The apartments are just a couple of blocks away from the Gold Coast Convention and Exhibition Centre, around the corner from the Oasis Shopping Centre. Across the road is Kurrawa Park where there is plenty of space for the kids to play. The esplanade is also great for walks and jogging. The Sandpiper Apartments have the perfect position for a no-hassle holiday on the Gold Coast. By staying so close to the Gold Coast park lands you get all that space to walk, run or cycle on. Young families will especially enjoy the covered playgrounds and there are plenty of public toilets along the way. Bring your swimmers too. 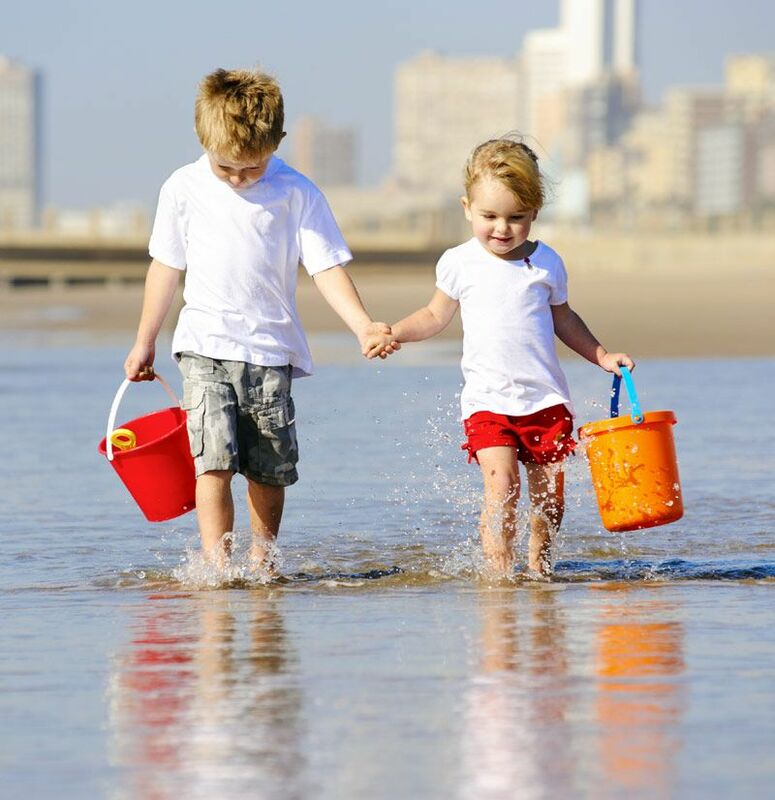 If you decide to have a swim at the beach the changing facilities are also nearby. Older kids will love being close to Surfers. Jupiters Casino is close by too. Black tie and cocktail dress, club wear or beachwear, if you’ve got them, there’s places where you can wear them. It’s your choice. 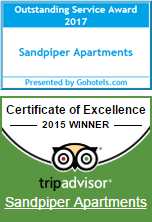 Then there’s the lovely private and peaceful abode here at the Sandpiper Beachfront Apartments. For the money and superb location this family apartments Broadbeach is unbeatable.